We all say that blood is thicker than water and when we say that, we are generally speaking about family. Family, a bond so deep that we would do anything to help them out at the risk of losing our own sanity. While some families can live this way, where they each help one another out, most are grateful and appreciative for it. There are great benefits in helping family when it’s a give and take relationship, sadly not all family relationships are this way. 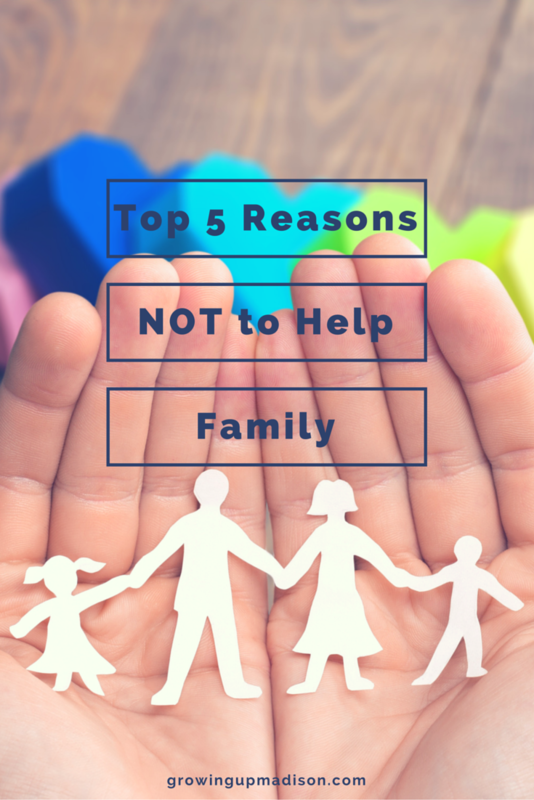 Today we are going to showcase 5 reasons why not to help family, as a means to inspire you to stop giving more than necessary before you deplete your own happiness. 1. You Are Enabling Bad Decisions – when you help family out too often you are only starting to become an enabler. Allowing yourself to solve your family member’s problems rather than leaving them alone to make their own bad decisions and suffer the consequences. Each of us must grow and enabling bad decisions will not help your family member grow. 2. They Are Taking All of Your Happiness – the family bond cuts so deep that many are willing to let their own happiness suffer at the unknowing hands of a family member. We can love our family without depleting our own world. You worked hard for what you have in life, allow your family members to do what they wish without taking you down the hole. 3. Family Doesn’t Show Appreciation – we all have that one family member who can take and take and take. If you are helping a family member who is not showing appreciation for your help, let it go. Do not be afraid to cut that person completely out of your life for a while, if need be, they will eventually come back to reality or not. That isn’t your concern. 4. 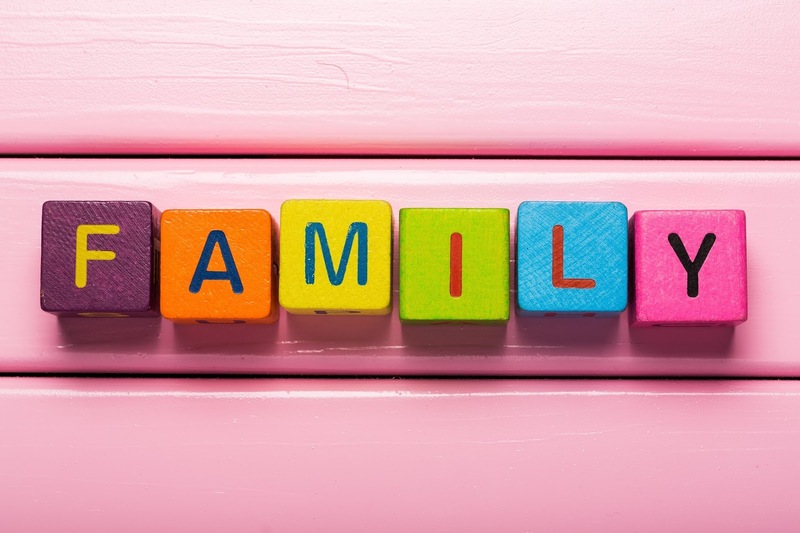 You Don’t Have the Time – all too often we will give family a higher priority than our own self and give up precious time with our own household family as a means to help an external family member. This is one of the biggest reasons why you shouldn't help family, because your own family built by your hands shouldn’t suffer because you are letting outside family take up all of your time. 5. Your Family Only Takes – sadly this goes along with not showing appreciation, if you are helping family often enough and they all know you have that giving personality, then regardless of how much they say they love you – they will continue to take from you. There’s nothing healthy about a relationship that is all about take, take, take. Separate yourself from those who take from you, even family. It’s hard to swallow the simple facts that our family can be unappreciative, ungrateful and takers, but that’s just how some family members are wired. We all grow in this world based on our own experiences and when a family member has been constantly taking away from the well-being of your life, then it’s time to say goodbye and cut the cord. Sure, this may break a relationship, but if you step back from giving so much breaks that relationship, was it really a strong family bond to being with? A question only you can answer as you sit to think about these reasons why not to help family. I have not lent money to family I don't really lend a lot of money to anybody. Along time ago my husband's parents asked if we could help with the rent unfortunately the time we could not and still can't. Lending money to family is almost like giving it to family. Don't expect to ever see it again, well at least that has been my experience. It's best to just give it them, especially if you want to maintain that relationship. It is a bitter, bitter pill to swallow, but sometimes you just can't help family. They either don't appreciate it or they just won't let you help. You can say that again. I've been burned a few times myself and I don't ask for help either. I'd rather do it myself. There has been some times where I regret helping my family and also sometimes I regret not helping. It is so hard when people you are close with need help but you know that you are only enabling bad behavior. Sometimes you gotta be tough. I've helped in the past but most people don't appreciate the help they got and you sometimes only hear from them when they do need help again. I think people need to be okay with the idea of saying "NO". I know that there is a deep feeling about helping family members, but you you don't want to enable them and you don't want to be used all the time. I am totally ok with saying NO and have been saying it a lot more lately. Oh my goodness, this post is so true. It's very close to home. Sometimes we have to learn this the hard way. It's a pity that we do but sometimes that's the only way we learn. When I read articles like this I know these things to be true but still...that voice in my head can't help but repeat, 'But they're your children!' HARDEST route ever is to cut the cord when it's the people you spent a lifetime nurturing. I know, I've done it and it hurts every day. But it hurts less than letting them continue with the same behavior over and over. Barb I can totally relate but you're right it's the hardest route ever. I've said that I'd never help again and I would end up doing it because it's "family" but then they repeat the behavior over and over. Sometimes you just have to let go. This is a really important post. Sometimes loving someone means not enabling them. It's hard, but sometimes you have to love people from a distance while they work things out on their own. That is very true Pam. Sometimes they need to go through their own trials before you help them. Thank you Lisa, and thank you for stopping by. I love this post!! It is so hard to say no to family but sometimes you really need to, I know I have learned this lesson the hard way the past couple of years! Oh yes it can be hard but you need to harden your heart at times. I'm trying to understand your comment and I think you're saying that you'd help your kids but won't any other family. That's totally understandable. Sometimes it can be hard to say NO. However, it's important to turn people down sometimes. It's true that relationships can get complicated with relatives once money comes into the picture. Oh yes it can be difficult but you have to learn how to say so. What a good post and important topic, we are so prone to helping family more than we should sometimes. Helping them less or not at all may be more about tough love versus lack of loving them! I agree 100%, it's not about not loving them but showing them some tough love. These are some great points. You really do have to draw a line. It's not easy at all. It's not easy but sometimes you just have to do what you have to do. This is indeed an interesting post. There are limitations to everything even helping family. My believes are that you can help family as long as it does not interfere with your own family. Thanks for sharing your thoughts. Thank you sharing yours Rebecca and you're right, as long as it doesn't interfere with your family and your happiness. This was a tough lesson that I recently learned. I was definitely being an enabler and it needed to stop. Oh if you're an enabler then you definitely need to stop being that. I couldn't agree with this more. I have some family members who I continue to help, because they help me back. But there are others that I had to stop helping because they didn't appreciate it or reciprocate it. When they aren't appreciating or reciprocating, you end up feeling used which isn't a good feeling at all. Kudos to you for stopping. This is such a great post and sometime the hardest thing to say is NO when you really want to help. I applaud you for this post. It is hard to say no sometimes, especially when it comes to family but sometimes you gotta do what you gotta do. These are great points. It's hard when you do something nice and they don't show any compassion - I think it's sort of a catch 22 - and definitely something you should think about first! Great post. I think the word you wanted was appreciation instead of compassion but you're right, it's hard when they don't appreciate what you've done for them. We stopped loaning money and "fixing" things for family members years ago when something went south. One or two bad apples can defininitely spoil the whole bunch. Oh you can say that again! Thanks for stopping by. This is a lesson I'm also learning. Suffice to say, I learned it the hard way. Now, I'm more careful with family. My immediate family priorities are top of my agenda. I'm also learning to say 'NO' without feeling guilty. It's kinda hard but I'd rather practice 'tough love' than lose my sanity. Thanks for sharing this. There's so much truth in what you say. Yes it can be hard and I also learned it the tough way but it was a lesson worth learning. Now I also know how to say no and not feel guilty at all.